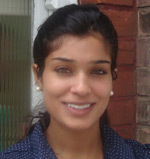 We are a small friendly team who look forward to welcoming you to Nelson Road Dental. We are very proud of what we provide our clients and are always working towards providing you the very best in NHS and Private dental care experience. Please feel free to pop in or pick up the telephone to speak to one of our team members for all your facial aesthetics and dental care needs. Welcome to our website! I qualified from Guys Hospital with distinction. I have also passed my exams to obtain membership of the Faculty of Dental Practitioners (MFGDP). My interests lie in facial aesthetics using the very latest in Botox and dermal filler techniques. This is carried out with total discretion and I pride myself in offering a natural looking result. I am also qualified for conservative techniques in smile makeover (lumineers) and invisible brace systems like lingual social six to help achieve a more youthful and natural smile. Outside dentistry, I love spending time with family, travelling and my charity work. I look forward to meeting you and taking care of all your facial aesthetic and dental needs.